Barrier pins are used to connect precast concrete highway barriers together. 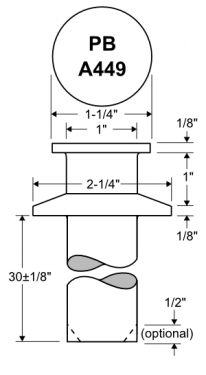 Portland Bolt’s approved head design allows for easy removal without the need for special tools. 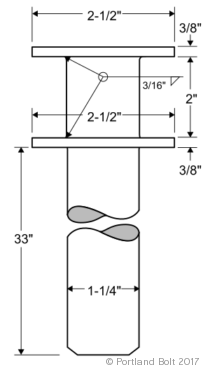 In some states, high strength pins get driven through the base of precast concrete barriers in order to pin them to the ground. 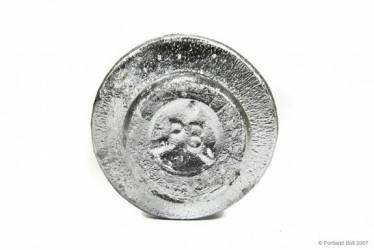 Base pins are usually made from high strength steel, hot-dipped galvanized with a semi cone point. 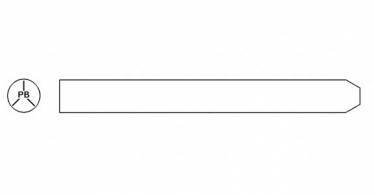 Appropriate specifications are stamped on the end per ASTM or AASHTO. Certification documents are provided for all orders. 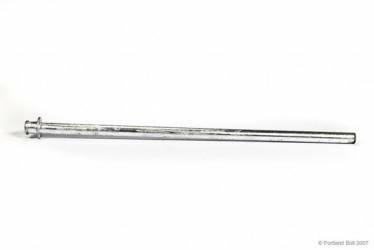 Headed pins are also available. Dimensions vary by state. Contact Portland Bolt for detailed information. 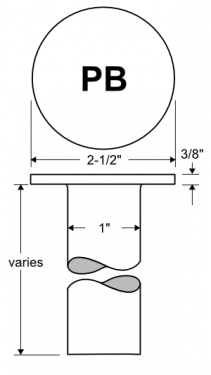 Visit our educational website www.highwaybarrierpins.com for state specific information regarding connecting pins and anchor pins, technical information, and answers to frequently asked questions about highway barrier pin hardware. 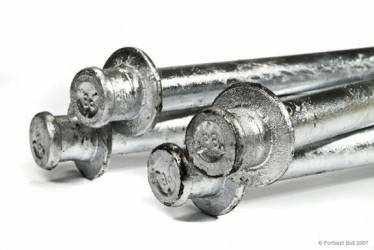 Portland Bolt manufactures barrier pins for both state and federal highway projects. State Department of Transportation approved pins include: Alaska, Arizona, California, Colorado, Idaho, Montana, Nevada, Oregon, Utah, and Washington. Other state pins are available. 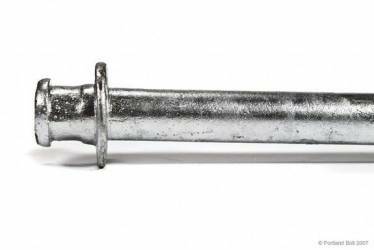 Barrier pins are hot forged, significantly reducing costs compared to a welded pin. All operations, including the galvanizing process, are performed in-house. Certification is provided with barrier pins and specification stamping is done in compliance with ASTM and AASHTO. 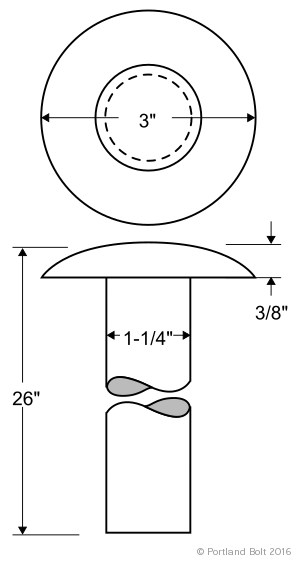 Notes: Second lip under the head is hot-forged to facilitate removal in lieu of threads and lifting nut. Notes: Top lip of pin is hot forged in lieu of a round plate being welded to round bar. 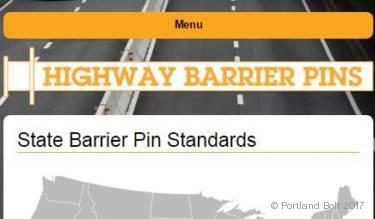 Learn more about highway barrier pins on our specialized microsite.